The School of Mathematics and Statistics of the University of Sydney was founded on 1 January 1991 with the merging of the departments of Applied Mathematics, Pure Mathematics and Mathematical Statistics. It is one of the largest mathematical schools in Australia, and pursues a vigorous program of teaching, scholarship and research. The Head of School is Professor Jacqui Ramagge; email: maths.hos@sydney.edu.au. The Deputy Head of School is Professor Samuel Müller. The School Manager, Ms Kristin Anderson, is currently on secondment to the Science Faculty, and Ms Kate Ippaviz is Acting School Manager. The School is located in the Carslaw building. General enquiries: email enq@maths.usyd.edu.au, telephone +61 2 9351 5804 or +61 2 9351 5787. Full contact details are available on a separate page. Some of the information reproduced here is taken from a document The First Hundred Years of Mathematics prepared by I. S. Turner for the University's centenary celebrations in 1952. The first Professor of Mathematics and Natural Philosophy was Morris Birkbeck Pell (1827-1879), one of the University's three foundation professors. Having graduated as senior wrangler (that is, first place in the examinations) in mathematics at Cambridge in 1849, he was just 24 years old when he accepted the Sydney appointment. 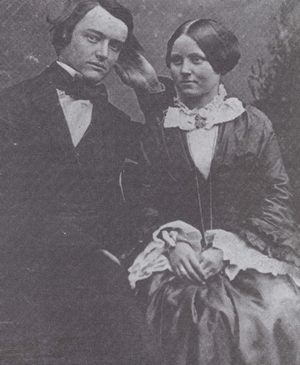 Pell is shown with his wife in the photograph below (from the University archives). The three professors are shown inspecting the gargoyles being carved for the Main Building in another photograph from the archives. Professor Pell gave the first lecture in Mathematics on 13 October 1852, two days after the University's inauguration, to all 24 students of the University. A student, W. C. Windeyer, later to become Chancellor of the University, wrote in his diary: "Went to a lecture at 10 with Mr Pell, who amused as well as instructed, think I shall like him ...". At least two years of Mathematics were still required of all students at the time of Pell's retirement in 1877. The subjects then required for the Bachelor of Arts degree were "Conic Sections, Differential and Integral Calculus, Dynamics, Algebra (Higher Part), Trigonometry". During Pell's time as professor, twenty students were awarded first class honours in Mathematics. There were still only fifty-eight students in the University in 1877. There are two more photos of Pell in the archives. 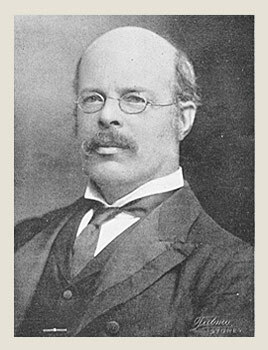 The second Professor of Mathematics, Theodore Thomas Gurney (1849-1918), succeeded Pell in 1877. He was, as Pell had been, a Fellow of St John's College, Cambridge, prior to his appointment to Sydney. He had been third wrangler in mathematics in 1873. The first Lecturer in Mathematics, H. E. Barff, was appointed for one year in 1880; he was succeeded by H. L. P. Elles (1881), F. J. Horner (1881 to 1886) and R. G. Goggs, who was Acting Professor in Gurney's absence abroad in 1884 and Evening Lecturer in 1885. In 1886 A. Newham was appointed Assistant Lecturer in Mathematics, and E. M. Moors was appointed as Assistant Lecturer in 1887. The long tenures of Newham and Moors continued until 1915 and 1918 respectively. During Gurney's professorship, 26 students graduated with first-class honours in Mathematics. By his retirement in 1902, the University had grown to 244 students, and the Department of Mathematics was providing lecture courses for the Faculties of Arts, Science and Engineering. In Arts there were mathematics courses for first, second and third year; the first and second year courses being offered at three levels. The Science and Engineering courses were selections from those offered in Arts. Both Pell and Gurney appear to have been good lecturers, but neither are remembered as notable mathematicians. Although Pell did write several papers on actuarial mathematics, over a number of years, Gurney wrote nothing at all. For Gurney's successor, therefore, the University authorities took care to choose a person with a proven record of mathematical research. In 1903, Horatio Scott Carslaw (1870-1954) was appointed Professor. Carslaw had entered Emmanuel College, Cambridge, as a graduate of Glasgow. He was fourth wrangler in mathematics in 1894, and was elected a Fellow of Emmanuel College. He then studied in Italy and Germany before returning to the University of Glasgow as a Lecturer in Mathematics. He was also, at this time, an inspector of mathematics in secondary schools. So as well as having strong research credentials and experience in university lecturing, he was also able to play an important role in the development of school mathematics in New South Wales. Carslaw's fame derives from several books. He published An introduction to the infinitesimal calculus in 1905, and Introduction to the theory of Fourier's series and integrals and the mathematical theory of the conduction of heat in 1906. This latter book, which is his most notable work, was revised as two volumes Introduction to the theory of Fourier's series and integrals and Introduction to the mathematical theory of the conduction of heat in 1921. 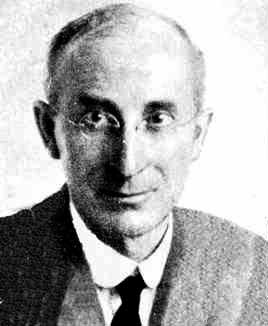 He also published Elements Of Non-Euclidean Geometry And Trigonometry (in 1916) and Teaching Of Mathematics In Australia (in 1914). A list of some more of Carslaw's publications can be found here. Carslaw was offered a Chair at University College London in 1923, and although tempted by the opportunity to have closer associations with many mathematicians, he declined the offer, writing that he was "much attached to Australia". Professor Carslaw retired in 1935, but clearly still remained mathematically active, since his Operational methods in applied mathematics, written jointly with J. C. Jaeger, was published in 1941. He died in 1954. His obituary in The Times of London is shown. Following Carslaw's retirement, Thomas Gerald Room (1902-1986) was appointed Professor of Mathematics in 1935. Room was another product of St John's College, Cambridge, where he was strongly influenced by the famous geometer H. F. Baker. Room's major work was the book The Geometry of Determinantal Loci, published in 1938. The School of Mathematics and Statistics formerly had its own library, named the T. G. Room library in Professor Room's honour. Each year the School may award a T. G. Room Medal for an outstanding PhD thesis in pure mathematics. There are, of course, many who still well remember Professor Room. The present writer never met him, but has heard his lecturing described as "inspiring" and (alternatively) as "incomprehensible". In 1946 a full chair of Applied Mathematics was created, with the appointment of Professor Keith Edward Bullen (1906-1976). Bullen was a prolific author, writing some 290 papers and five books. His Introduction to Seismology (1947) is a standard textbook that has been reprinted several times and translated into several languages. His last book, The Earth's Density, was published in 1975. Relationships between Professors Bullen and Room were, I am told, decidedly cool. However, it must be emphasized that all enmity between pure and applied mathematics at the University of Sydney has long since ended! The first professor of Mathematical Statistics was Henry Oliver Lancaster (1913-2001), who was appointed in 1959. Having trained initially as a doctor, his interest in statistics was chiefly derived from medical applications. Among his many notable achievements were the discovery in 1956 of a significant correlation between latitude and the prevalence of melanoma, and the establishment of a connection between rubella in early pregnancy of the mother and congenital deafness of offspring.